A guest at a resort in the Whitsundays has taken a snap that is so Australian it should lead Tourism Australia’s next ad campaign. 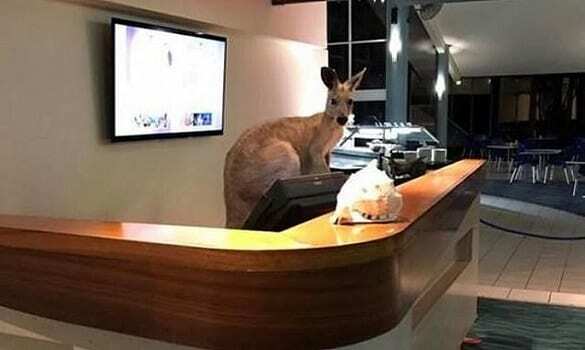 The guest happened upon a kangaroo manning the reception desk at Daydream Island Resort and luckily had a camera handy. The snap was then posted to Reddit before attracting a slew of comments. “When you battle the blistering heat and cancer sun rays. Run through the drop bear forests and huntsman spider rains. Cross the salt water croc creeks and venomous snake sands. Finally reaching your hotel with a kangaroo check in,” one commented.